The 2018 golfing year is just creaking into life, and for fans and golf betting enthusiasts with one eye on September’s Ryder Cup there could well be a fantastic dress rehearsal this week with the EurAsia Cup. Set to kick off in Kuala Lumpur, the capital of Malaysia, this years cup features some serious talent. Some of the finest professional golf players on the planet will be making their way to the sub-continent, and for those in Team Europe this tournament offers a fantastic opportunity for them to show their skills in the matchplay format ahead of the battle with Team America in late summer. But let’s not write off the Asian team, which features a number of very promising youngsters and experienced heads alike. 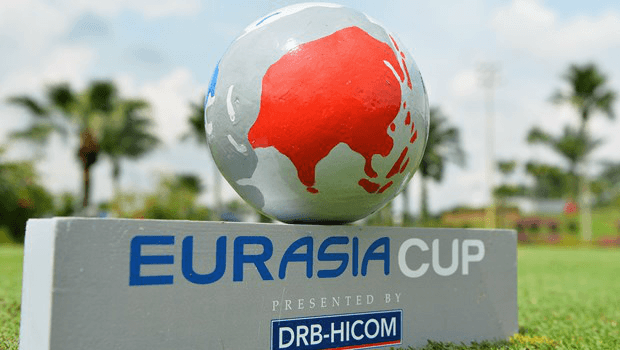 However, Europe are the reigning EurAsia Cup champions, so can they retain their trophy or will Asia cause a huge upset in front of their own supporters? The top golf betting sites sure seem to like Europe! Very much like the Ryder Cup, play unfolds across three distinct formats: fourballs, foursomes and singles. On the opening two days, the 12 players will pair up and take on a duo from the other team in fourballs, where each player plays their own ball and the best score takes the point (or halves where the scores are level). Foursomes is slightly different in that one ball is played alternately by both players on the team. The singles game speaks for itself: the 12 players from each team will go head-to-head with a member of the opposition in one final attempt to accumulate those all important points. In total, there are 24 points to be won across six fourballs, six foursomes and 12 singles. Team Europe’s stars need little introduction. Led by Thomas Bjorn in his first assignment prior to taking on the Ryder Cup captaincy, the team is headlined by Rolex Cup winner Tommy Fleetwood and former Open champion Henrik Stenson. That duo will be joined by European Tour title-holders Tyrell Hatton, Bernd Wiesberger, Alex Noren and Matt Fitzpatrick. They have team-play experience too, with Thomas Pieters and Rafa Cabrera-Bello shining despite defeat in the 2016 Ryder Cup on US soil, while Paul Casey – surely one of the finest European golfers on the planet – returns to the fold after a self-imposed exile from the team. Team Asia, meanwhile, will be captained by Arjun Atwal, who himself came back into form when finishing second at the Mauritius Open in December, and the Indian has an assortment of classy youngsters at his disposal. Kiradech Aphibarnrat has been in fine form of late with eight top-20s in his last 11 starts. And the Thai ace also has a matchplay title to his name – he claimed the Paul Lawrie MP event back in 2015. That experience could prove vital in this head-to-head format. There are plenty of European and Asian Tour titles shared between the pair of Shiv Shankar Prasad Chawrasia and Haotong Li. While PGA Tour regulars Anirban Lahiri and Byeong Hun-An will add some elite-level pedigree. Add into the mix a batch of highly promising youngsters, including Gavin Green and Phachara Khongwatmai, and Atwal has an intriguing set of players at his disposal ready to make their mark on the national stage. The 2016 edition of the EurAsia Cup ended up in a rather one-sided 18.5-5.5 victory for the Europeans, and their greater experience of team-based golf is once again likely to pay dividends. More than half of Team Europe have played in the occasionally toxic atmosphere of the Ryder Cup, an experience that’s simply not replicated in the President’s Cup, where the ‘Rest of the World’ team takes on the US. Another key factor for punters to consider here is the Ryder Cup in France later this year. All 12 of Team Europe will be desperate to show Bjorn that they can be relied upon under the unique pressure of matchplay golf, and this event is the perfect chance for them to prove their mettle. The Europeans are as short as 1/4 to win a third straight EurAsia Cup, and it’s hard to see any other outcome than that against a plucky but inexperienced Asian outfit. Snap up the 2/7 odds offered by Ladbrokes. There also has to be value in the 13/2 offered by 888sport on Aphibarnrat being Team Asia’s top points scorer. His record in the 2016 edition of this competition was a respectable W1 D1 L1 (he earned 1.5 of Asia’s 5.5 point haul), and as a former matchplay winner he clearly thrives in this format. For all the latest odds on this weekend's action, Ladbrokes is offering a great signup bonus for new players!